Spencer Hill Contemporary, 9781633921030, 315pp. Only, as Katherine begins to love Jasper, she finds that the arrangement agreed upon is not enough. And Jasper is left to decide if protecting his heart is more important than fighting for Katherine’s love. 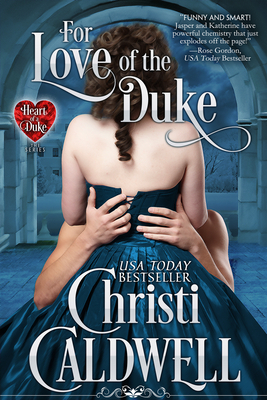 USA TODAY Bestselling author Christi Caldwell blames Judith McNaught for luring her into the world of historical romance. While sitting in her graduate school apartment at the University of Connecticut, Christi decided to set aside her notes and pick up her laptop to try her hand at romance. She believes the most perfect heroes and heroines have imperfections, and she rather enjoys torturing them before crafting them a well deserved happily ever after! Christi makes her home in southern Connecticut where she spends her time writing her own enchanting historical romances, chasing around her spirited son and caring for her twin princesses in training!